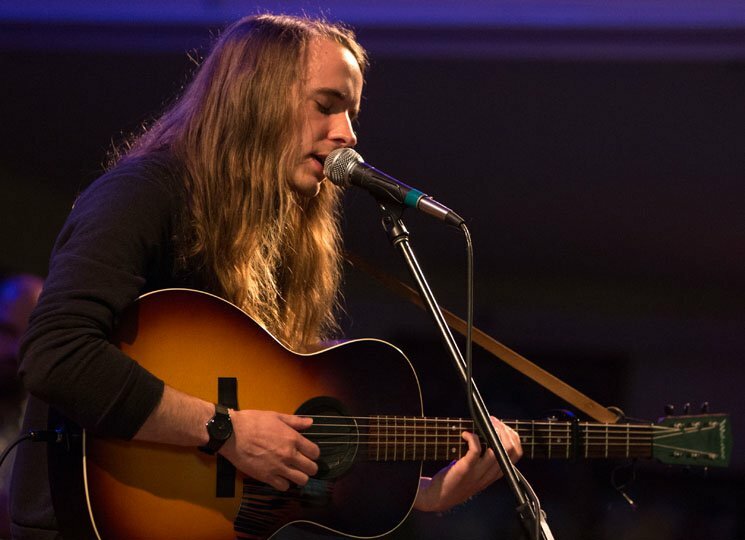 The last time Andy Shauf played Halifax's St. Matthew's Church in 2015, his Polaris-shortlisted album The Party was more concept than concept album. Sharing a backing band with headliner the Weather Station, he gave the audience only a couple small tastes of the record he was working on. That record has certainly found Shauf a much larger audience, if the long lineups to get into his sold-out Halifax Jazz Festival show at the same venue were any indication. The keen capacity crowd was treated to a performance that managed to balance the edges in his writing — the melodic turns, the lyrical barbs — with a soft, inviting soundscape. Backed by a five-piece band that included two clarinet players, and strumming an acoustic guitar loud enough that he barely had to touch the strings, Shauf opened with three songs from 2015's The Bearer of Bad News ("Drink My Rivers," "Hometown Hero" and "Lick Your Wounds") before spending most of the set playing all of The Party's ten songs. With St. Matthew's ethereal acoustics offering support, each song sounded impeccable, the instruments all finding a perfectly balanced place in the mix. Shauf, for the most part, was his quiet, unassuming self. Twice, as if by obligation, he stopped to ask the audience "Is everybody doing alright?" Before the encore — a thrilling version of Bad News' lengthy "Wendell Walker" — he attempted to start a quick Q&A, ultimately answering only one question (whether he's ever called "Andrew" by anyone; apparently that was the case for one year in grade school). Mostly, though the songs spoke for themselves, particular an upbeat "Jenny Come Home" and a majestic "The Magician," which closed the main set. Fleshed out by his band, the performances offered a welcome, comfortable bedding for Shauf's breakable songs.